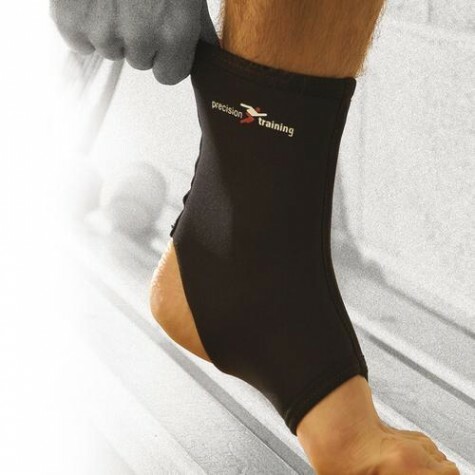 Precision Training Neoprene Pull On Ankle Support & Sports Injuries Support. For sprains, strains and injuries from overuse. Material 65% neoprene, 20% nylon,10% polyester, 5% latex.